Household pests can threaten the health, comfort and happiness of your family. Mice, carpenter ants, wasps, ticks, mosquitoes, roaches and bees can not only be a nuisance, but can also damage your property. Taking precautionary measures to deny these pests entry into your home is a must. Without proper protection, you are practically inviting them in. Household pests are frightening and embarrassing, but they are also dangerous. Many carry diseases, such as West Nile Virus and Lyme Disease. Household pests can also aggravate allergies, asthma, and other health conditions of your family. Protect your home and family from these threats by calling the professionals at HITMAN Termite & Pest Control today. 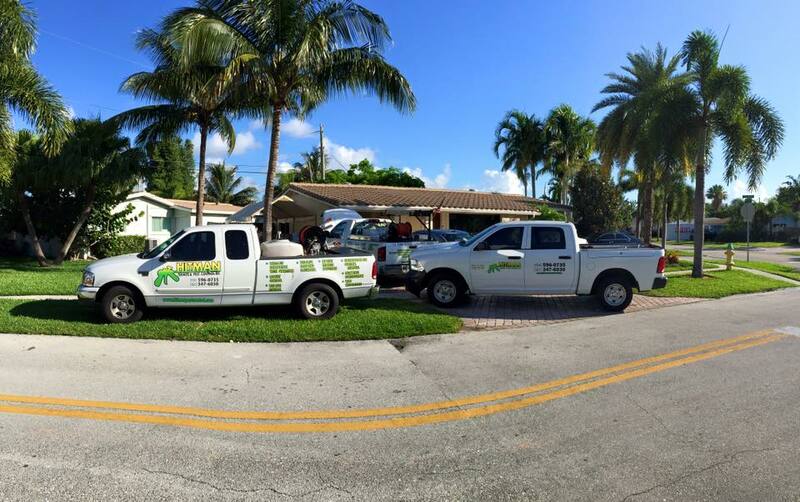 Our goal is to provide residential pest control in South Florida that is safe and effective by using the latest chemicals and techniques available combined with an Integrated Pest Management (I.P.M.) approach. This approach will allow us to educate you about the pest control process. Ask us about our HOME PROTECTION PLAN, it is the best way to protect your family, your home and your property. Let us provide you with a more enjoyable living environment for everyone! Get an Estimate in the Fort Lauderdale / Boca Raton Area!